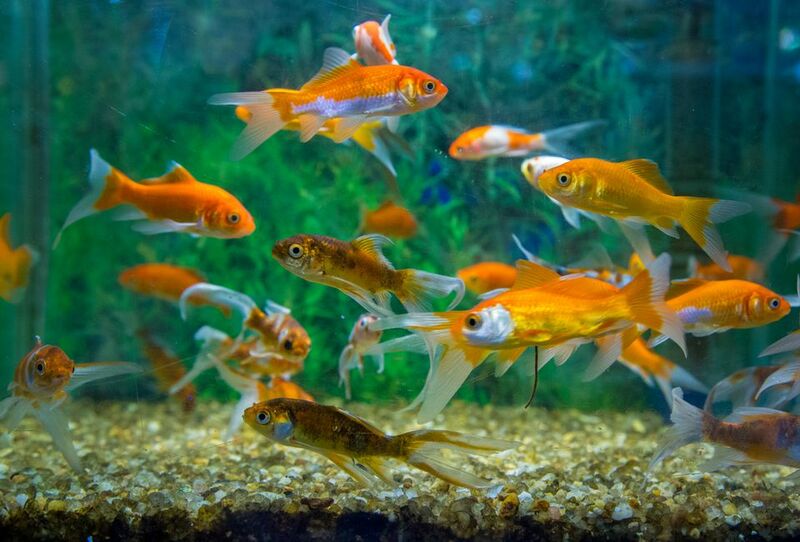 Seeding a new aquarium has become a popular practice. It is the process of transferring nitrifying bacteria from an established aquarium to a new aquarium. Seeding gives the new aquarium a jump start on the cycling process. It is not unusual for seeded aquariums to fully cycle in half the time it would normally take, thus allowing you to stock the new tank sooner. Seeding also helps to reduce stress on the fish and reduces or eliminates fish loss due to the startup cycle. Contrary to some reports, significant amounts of nitrifying bacteria are not present in the water itself. Therefore, transferring water from an established tank won't do much good. The lion's share of nitrifying bacteria resides in the substrate and in filter media (ceramic rings, filter floss, sponge, etc). The bacteria also can be present in rocks, artificial plants, and other elements with porous surfaces. Local fish stores (LFS) – Fish shops may accommodate a customer's request for seeding material. Fish clubs – Any fish club worth its salt will assist a new fish owner by providing seeding material. Friends – If a friend has an established tank, simply ask them for some. Moving seeding material from one tank to another must be done quickly to ensure the bacteria stay alive. Before transferring seeding material, set up the new aquarium and allow it to run for a day to stabilize the temperature and water chemistry. Once that is done, get your seeding material and use it within the hour. During transport, keep the material covered with a small amount of water from the original tank (the source of the seeding material). Do not subject it to significant temperature changes, and move it as quickly as possible. Allowing seeding material to sit for more than an hour can result in the death of the nitrifying bacteria. If this happens, of it the material is subject to extreme hot or cold, discard it and get fresh seeding material. There are two options for seeding a new aquarium using substrate from an established aquarium. The first is to simply distribute the seeding substrate in an even layer on the top of the substrate in the newly set up aquarium. This option works well if the substrates are similar in color and size. The other method uses a bag made of nylon pantyhose. You fill the toe of the hose with 1/2 to 1 cup of the substrate, then tie off the bag, cut it from the rest of the leg, and hang the whole thing in the tank. Once the tank has cycled, removed the bag and discard it (or you can use it to line the bottom of a potted plant; the substrate allows excess water to drain from the soil, and the debris from the aquarium makes good fertilizer). Filter media is an excellent seeding material. The easiest way to use this method is to place an extra filter on an established tank for a few weeks to allow nitrifying bacteria to grow on the filter media. Sponge filters are ideal for this, as they are small, inexpensive, and easy to move. Power or even canister filters can also be used. Once the new aquarium has been set up and has run for at least a day to stabilize the temperature, the seeding filter can be moved from the established tank to the new tank. Leave the seeding filter in place until the new aquarium has fully cycled. If desired, you can leave it in place indefinitely to serve as a source of seeding material in the future. It can also be used to quickly set up a hospital tank if the need arises. An alternate method is to use fresh filter media (ceramic rings or a sponge) designed for use in the new aquarium filter. Place the media in a mesh bag and hang it in the established tank for a couple of weeks prior to setting up the new aquarium. This will allow nitrifying bacteria to grow within the media. When the new aquarium has been filled and the filter is ready to be installed, remove the bag from the established tank and immediately place the wet media in the new filter.